'Love in Laguna' has definitely been a hit and miss series for me. 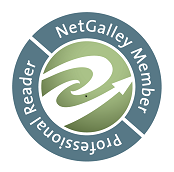 The first four books have garnered anything between 2 and even 5 stars as a rating from me. 'Fool of Main Beach' just had too many things that appealed to me, so when the chance came along to check out the audio book and the narrator was an 'almost' new to me narrator...K. C. Kelly, whom I've only heard narrate one other audio book. I decided I needed to go for it...so we're heading for Laguna Beach and the men who live there. First off this is one of those series where we get a different couple for each book but we also get to re-visit the men from the previous books so the new and the familiar...one of my favorite things. Dogs...lots and lots of dogs...come on we all know dogs make everything better and this one has dogs in spades. Totally unlikely MCs...I love it when an author takes 2 characters who on paper are just never going to happen...they have nothing in common, their connection defies the obvious. Diverse and interesting secondary characters...this one has those in spades from the collection of acting industry people to Merle's family to Tom's family and let's not forget the men from the previous stories. Most of all I quickly discovered that what I loved the most about this book was Merle and Tom...but especially Tom. I'm not even sure how to explain Tom and all the feelz I have for him. Truly we would all be better people for having a Tom in our lives. Tom is sweet and honest....so guileless and absolutely so much more than he appeared to be. Tom would be the kind of friend that anyone with a brain would treasure and that any parent worthy of the name would cherish and be humbled for having played a part in gifting the world with. Ok, let's move on to Merle because honestly I could probably wax poetic about Tom and why I love him all day but I think I've made my point Tom is awesome but in his own way so was Merle. Merle is the star of a television show and he aspires to star in movies but more importantly Merle is at his heart an sweet and gentle soul looking for the right person to love him. It just takes him a bit of time to realize that finding the right person to love him means looking not at the package but at what lies inside...although it might not hurt that Tom is also very nicely packaged...he's big...as in tall with all kinds of lovely ripped muscles and the face of an angel and he thinks that Merle is so beautiful and talented. I loved that no matter where things were at between these two men if one of them needed help the other one dropped everything to get to them as soon as possible. I loved how Merle saw and never lost site of Tom...not the superficial that people saw at first glance but the man who saw the world just a little differently from others and whose honesty is both guileless and refreshing. Merle and Tom are in many ways as unlikely a pairing as a person could imagine and their story from when they are brought together when Tom first rescues Merle from an act of bigotry and hatred. As they become friends then friends with benefits continuing to rescue each other, Tom and Merle find their lives becoming increasingly entangled and yet in spite of the fact that both claim a relationship between them would never work, neither of them is willing to truly give up the other. 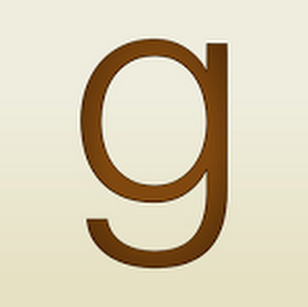 I really enjoyed listening to this story on audio. K.C. Kelly's narration was well done and really added to my enjoyment of the characters and the story in general and easily ticked off those boxes in my 'things I look for from an audio book' list. 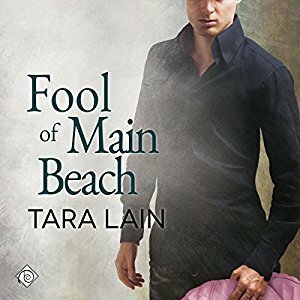 'Fool of Main Beach' is a sweet, feel good, hurt/comfort romance that at times had me laughing and there may have been a tear or two as well and without a doubt this is one of my favorites from this series. An audio book of 'Fool Of Main Beach' was graciously provided by the publisher in exchange for an honest review.